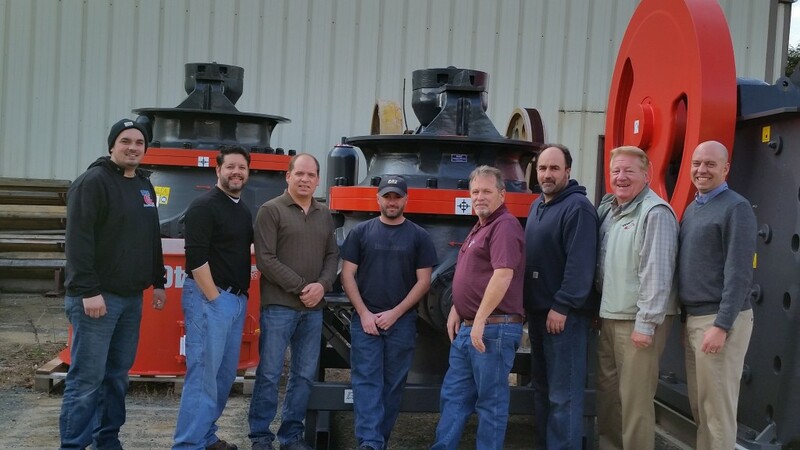 Since 2001, EESSCO has provided New England producers with quality material handling equipment, parts and service. Founded by knowledgeable professionals with decades in the aggregate industry, EESSCO is connected to the rock, sand and gravel and construction industries. We share this connection with our customers applying our experience and knowledge to solve problems, increase production and stay in your operating budget. Whether it’s for a new plant, retrofit into an existing operation or a single part, EESSCO prides ourselves in service before, during and after the sale. Our knowledgeable inside parts and outside equipment sales force are trained educated on the latest in products, technology and trends and will do their best to make you successful. The right equipment for another producer may not be the right equipment for you. EESSCO listens to your challenges and offers a custom solution – from a plant layout and engineering to quality material handling equipment and installation. This combined with our knowledge and connections allow you to achieve your goals within your budget. We’ve been doing business in the aggregate industry for over 15 years. Our customers know they can count on EESSCO to get the job done right. The experience of our founders exceeds 60 years in the aggregate business. We’ve done it all and will use our experience to help you succeed. We'll help make sure you stay on budget. EESSCO will provide you with the best equipment, parts and service you need for the best price. We’re standing by to answer all your questions.